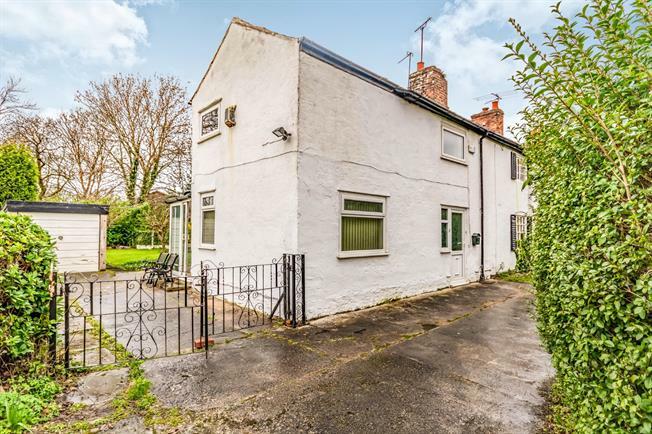 2 Bedroom End of Terrace Cottage For Sale in Manchester for Offers in excess of £250,000. Double glazed uPVC window facing the front. Radiator and gas fire, carpeted flooring, beam and timber ceiling, ceiling light. Double glazed uPVC window facing the rear overlooking the garden. Radiator, carpeted flooring, ceiling light. Wood work surface, wall and base units, stainless steel sink with drainer, space for oven, space for. Double bedroom; double glazed uPVC window facing the front. Radiator, carpeted flooring, fitted wardrobes, beam and timber ceiling, ceiling light. Double glazed uPVC window. Vinyl flooring, part tiled walls and tiled splashbacks, ceiling light. Low level WC, panelled bath, pedestal sink.